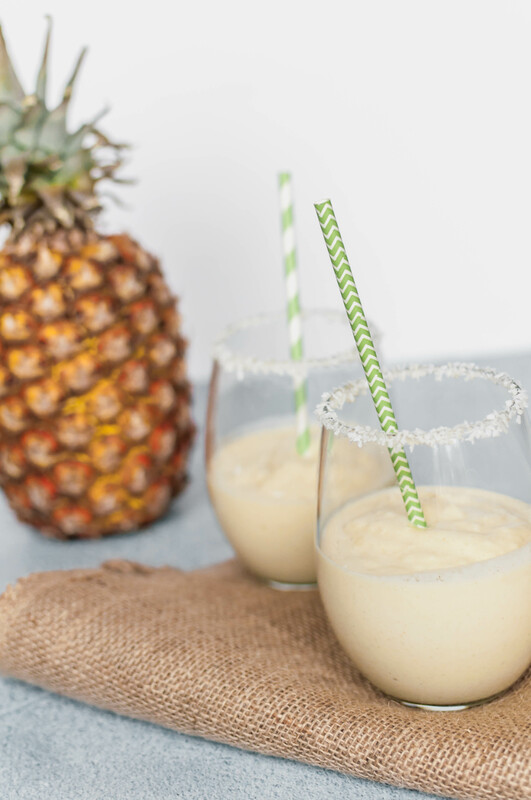 This Pina Colada Smoothie will make you feel like you’re lounging on a gorgeous beach. Enjoy all the tropical flavors of the classic drink without any of the guilt. We’re eight days away from moving day and I’m feeling relatively good about our packing progress. Check with me on Monday and things may be different. It’s been a loooong process and we’re excited to finally be at the end of it. I’m hoping to share some photos with you next month (depending on how long it takes to get settled). In other exciting upcoming news, Joel and I booked a trip this summer to Costa Rica!! His company provides a sabbatical and stipend every 5 years to their employees to travel somewhere (they encourage internationally) and recharge and explore. We had such a hard time choosing where to go but ultimately decided on Costa Rica for all of the amazing things to do and see. Volcanoes, beaches, a rain forest, mountains, SLOTHS in the wild. I mean, what doesn’t it have to offer? We have a lot planned out already (nighttime rain forest tour, ziplining, cave explore, waterfall repelling, coffee and chocolate farm tour, beach lounging) but if you’ve been and have any must see places or must do activities, please let me know in the comments or shoot me an email. One of the best things about vacation is the food. Am I right? We spend a ridiculous chunk of time researching restaurants before we travel. So as you can imagine, I have ALL the tropical foods and drinks on my mind. 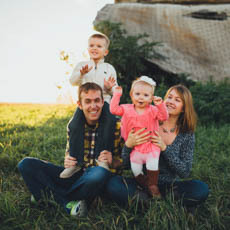 I wanted to create a healthier, guilt-free way to enjoy the tropics before our trip (where you bet I’ll be eating and drinking everything in sight). In comes this Pina Colada Smoothie. It doesn’t get much more tropical than pineapple and coconut. Pineapple is naturally super sweet so you only need a drizzle of honey in this smoothie. I also opted to use unsweetened coconut to keep it clean and free of refined sugars. I also added some hemp hearts and flaxseed to this smoothie which provide healthy fats and essential fatty acids as well a good boost protein. If you don’t have them, it’s no problem to leave them out. Yogurt provides a smooth, creamy texture to the smoothie which makes it perfectly sippable. This smoothie is a great way to start your day or make it for an afternoon pick me up. It’s even great as an after dinner snack when that sweet tooth strikes. Either way, you’re going to want to hit the beach ASAP. Combine yogurt, milk, pineapple, 2 tablespoons coconut, honey, hemp hearts and flax seeds in a blender. Blend until completely smooth. It takes a little longer for the coconut to blend in so I run it longer than usual. Optional: lightly coat the rim of your glass with honey. Pour the remaining 1 tablespoon of coconut on a small plate and dipped rim into the coconut. Pour smoothie into glass.